Following a very vocal minority of Star Wars fans expressing their disdain for the latest chapter in the series, some fans have tried to get Rian Johnson's The Last Jedi completely erased from official canon. Nerdist took it upon themselves to create the fictional opening crawl for Episode IX if these angry fans attempted to craft the story for themselves, with the crawl effectively erasing the important revelations of the previous film. Check out the fictional crawl below. As you can see above, the crawl features all manner of ridiculous theory to justify Luke's fate and how Supreme Leader Snoke could make an appearance in future installments. Each sentence in the crawl is more ridiculous than the last, which serves as an important reminder that the internet shouldn't always be allowed to voice their opinions about creative decisions in something they hold dear. Despite the backlash against writer/director Johnson, the filmmaker has expressed that he has no regrets about how he created his film and would make all the same decisions if he could turn back time. "A lot of things that ended up taking hold in the fan community in terms of who is Snoke, who are Rey’s parents, and the fever pitch that those rose to, I obviously knew those were questions you had coming out of Force Awakens, but I didn’t have the weight of the fan expectation of what the payoff of those questions would be," Johnson explained to The /Filmcast. "Which I think was a good thing." With some of filmmaker J.J. Abrams' earlier movies, fans were encouraged to unpack and dissect various details in hopes of uncovering important information. Having been trained to search for clues, some fans watching The Force Awakens thought Rey's parents or Snoke's origins were integral to the overall story, which Johnson proved they weren't. "I guess what I’m trying to say is, the timing of it was, it’s not like I was aware of those expectations and was purposefully trying to poke people in the eye," Johnson added, "I was writing to my honest gut reactions to what the most powerful turn of events would be to those questions." Lucasfilm clearly agrees with the filmmaker's outlook, as he has been tapped to develop a trilogy of Star Wars films that are unrelated to the Skywalker Saga. The Last Jedi is in theaters now. 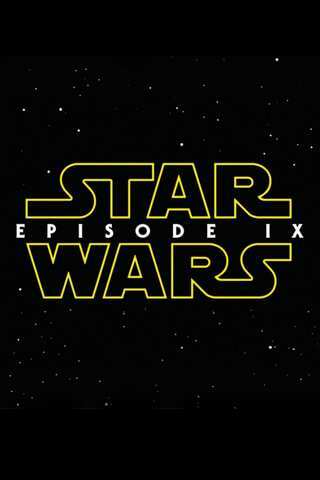 Episode IX lands in theaters on December 20, 2019.